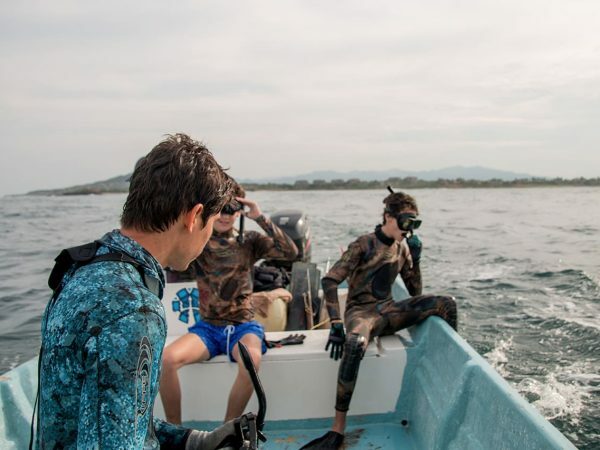 This expedition will let the whole family to discover the magnificent beauty of the ocean. 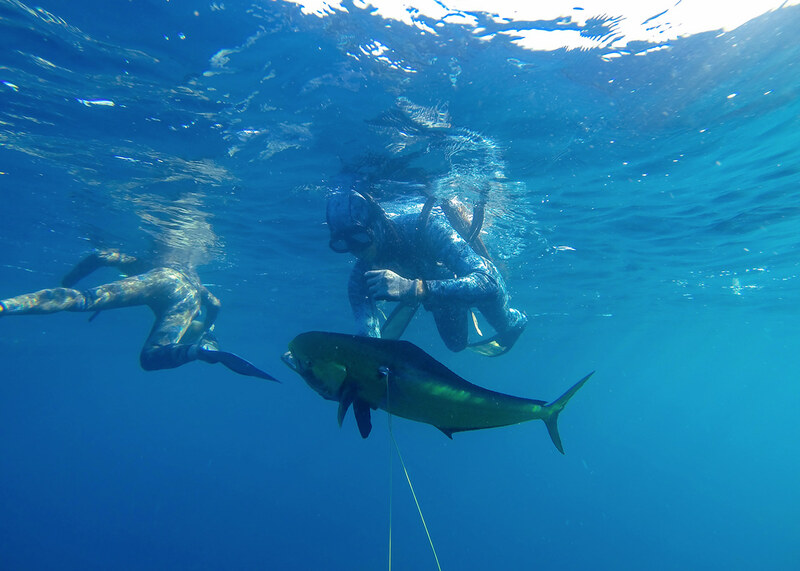 Our experienced professional guides will provide you with the most complete equipment for underwater fishing. 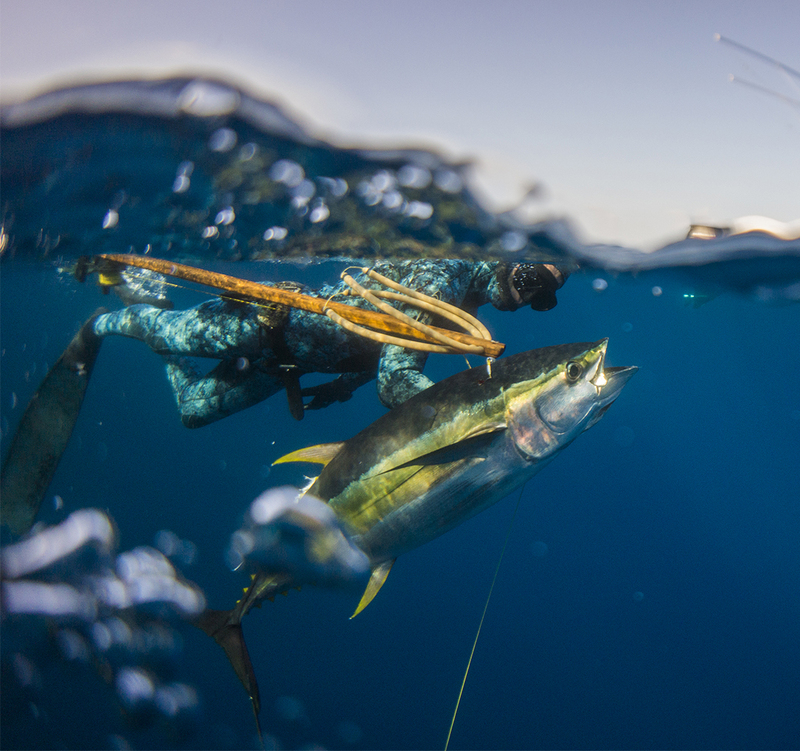 Sharing with you all the proper techniques to have a successful inshore hunt. 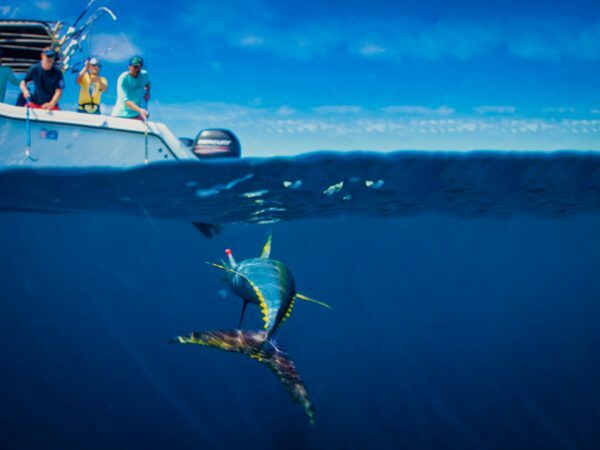 Choose the half-day tour or our primetime mid-afternoon tour, which will be your greatest chance to catch the best species while enjoying the most spectacular Pacific sunsets. 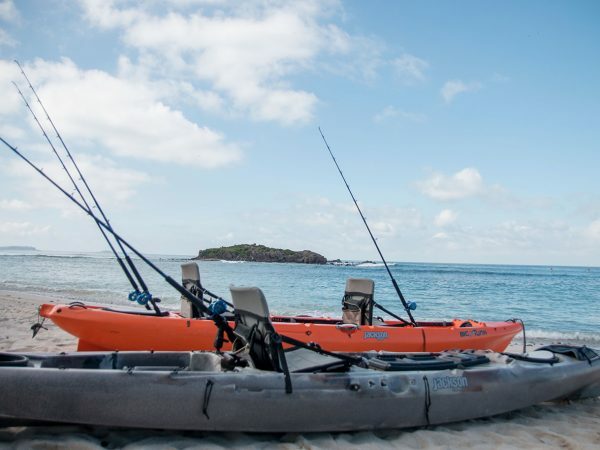 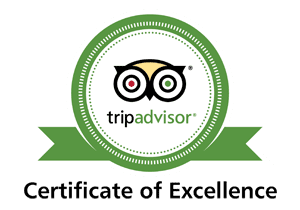 This tour also includes luxury amenities like a delicious freshly made ceviche prepared with the very first catch of the day accompanied by our premium Patron Experience with signature drinks with seasonal fruits served by our bartender so you can relax after this new exciting adventure. 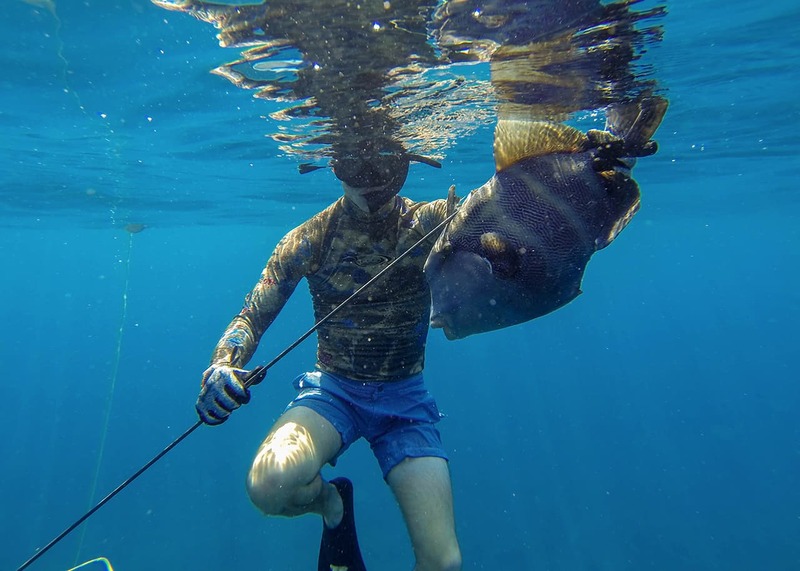 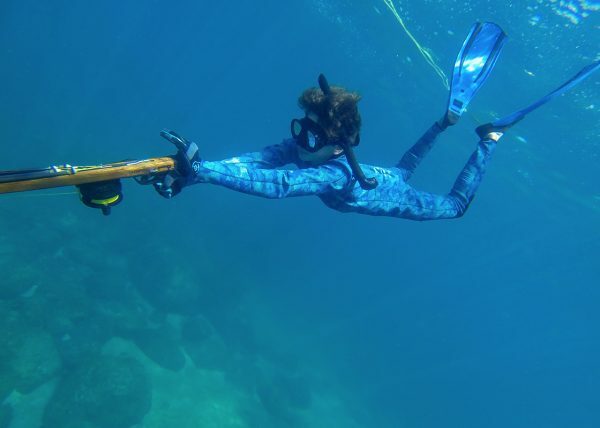 The best dive spots for spearfishing are very close to our headquarters, here you can find species like Cubera snapper, Almaco Jack, Grouper, Spanish mackerel, African pompano, and many more. 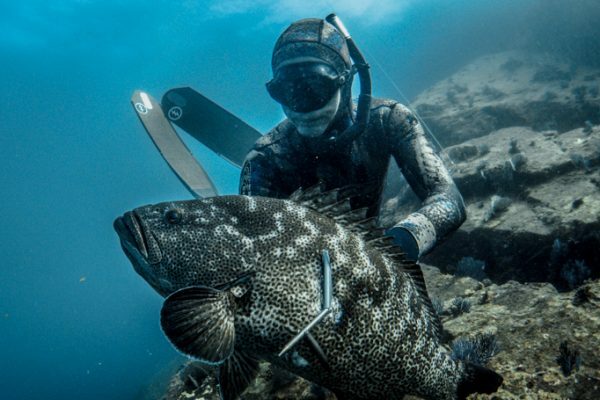 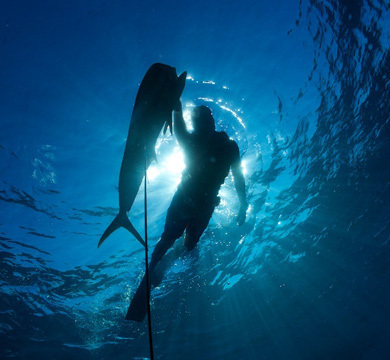 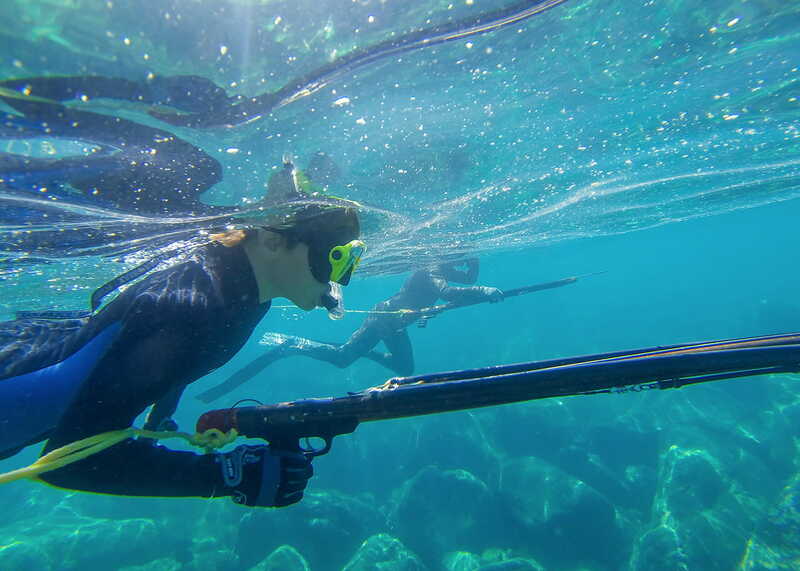 Book now to experience the spearfishing trip of a lifetime!